I was recently honored to be nominated to the Executive Council of CompTIA's Advancing Women in Technology community. As an important part of the world's largest technology association, the group looks to empower women with resources and information to positively impact their technology careers as well as inspiration to choose careers in technology. My beautiful wife, Michelle Ragusa-McBain, is the chair and I was happy she helped me compile this list. I think it is critical to build bridges with other organizations that have similar goals. This is the most comprehensive listing of Women in Technology groups found anywhere on the internet. Additionally, these Top 100 Women in Technology Organizations can be followed in this Twitter list. If you are female and thinking about entering the technology field, this is the place to start! Each of these organizations have shown success utilizing innovative methods of encouraging, enabling and empowering women in technology. The mission of IEEE Women In Engineering (WIE) is to facilitate the global inspiration, engagement and advancement of women in technical disciplines. IEEE WIE envisions a vibrant community of IEEE women and men collectively using their diverse talents to innovate for the benefit of humanity. ACM-W supports, celebrates, and advocates internationally for the full engagement of women in all aspects of the computing field, providing a wide range of programs and services to Association for Computing Machinery (ACM) members and working in the larger community to advance the contributions of technical women. The Women in IT Constituent Group collects and disseminates effective practices in the recruitment, retention, and advancement of women in higher education IT. Through both virtual and face-to-face networking opportunities and by making good use of its affiliation with the National Center for Women & IT, this group provides a venue for addressing a wide range of issues affecting women IT professionals in colleges and universities, including securing high level leadership roles in higher education. SIM is an association of over 3500 senior IT executives, prominent academicians, selected consultants, and other IT thought leaders built on the foundation of local chapters, who come together to share and enhance their rich intellectual capital for the benefit of its members and their organizations. A network of women working in technology fields who provide support to each other through networking meetups, career services, events, and other offerings. 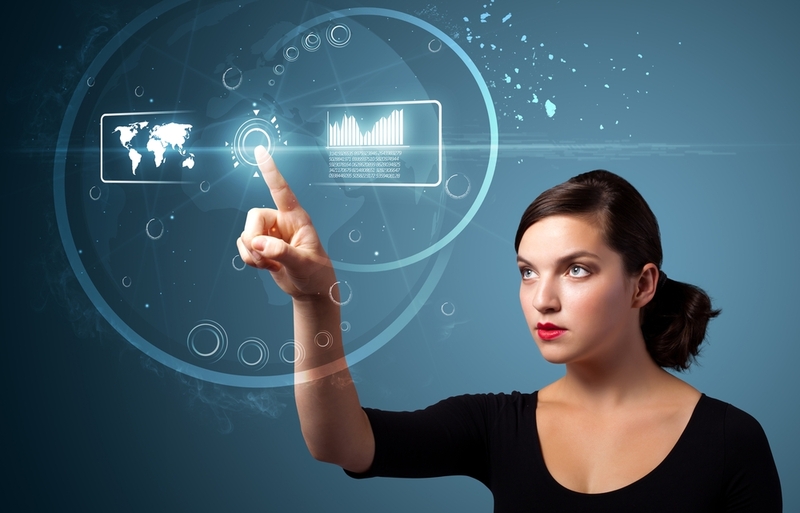 A not-for-profit organization that aims to help women advance in technology fields. They provide education in technology and leadership, networking events, mentoring, and awards. The Society of Women Engineers (SWE) is a non-profit educational and service organization that gives women the tools they need to succeed and advance in the field of engineering, and to be recognized for their contributions as engineers and leaders. SWE provides an array of training and development programs, networking opportunities, scholarships, and outreach and advocacy activities that help make engineering a desirable career choice for women. The National Center for Women & Information Technology is a 501(c)(3) non-profit organization chartered in 2004 by the National Science Foundation. NCWIT is a “collective impact” effort, a community of more than 700 prominent corporations, academic institutions, government agencies, and non-profits working to increase girls' and women's participation in technology and computing. From 2014 to present, Women Techmakers is continually launching global scalable initiatives and piloting new programs to support and empower women in the industry. The Association for Women in Computing is a not-for-profit organization dedicated to promoting the advancement of women in computing profession. Our members are a diverse group of professionals in careers that touch every aspect of the computer industry. You’ll discover a camaraderie with our group that you won’t find in other professional organizations. EdTechWomen is a network of educators, technologists, and business experts focused on leadership development for women in education technology. Its mission is to create an inclusive community of women and their supporters from all aspects of the education technology industry in order to build and enhance the leadership capacity of women. ITWomen is a non-profit organization with the mission of increasing the number of girls and women in the fields of technology and engineering and to provide professional development, student education and scholarships through a supportive network. BDPA is a global member-focused technology organization that delivers programs and services for the professional well-being of its stakeholders. Founded in 1975, BDPA currently has 2400 members and wishes to be a powerful advocate for their stakeholders' interests within the global technology industry. The Women’s High Tech Coalition (WHTC) is a non-profit, 501(c)(3), non-partisan organization that promotes the exchange of ideas among leaders in the public and private sectors whose focus is technology, innovation and the development of public policy related to technology. Shine The Light is an international campaign that encourages people to boost the profile of incredible women around the world who are pushing boundaries using technology. Women of the Channel Online celebrates and fosters female leadership across the IT channel year-round, continuing and building on the conversations and ideas sparked at our industry-leading Women of the Channel events. This site provides a forum for sharing perspectives on life and work, recognizing the unique contributions of the women shaping today’s channel, and finding the tools and knowledge to grow and advance both personally and professionally. Organizes conferences for women and awards for influential female leaders. Their goal is to not only help women thrive in technology fields, but make sure technologies are built to help women thrive. An organization with 60 local chapters around the world that host events. Girls in Tech University brings workshops and resources to female college students pursuing a career in technology, and they also have mentorship programs for grade-school students. An organization that promotes female leaders in mobile and digital through events in DC, New York, and San Francisco and spotlights on influential women. The Women’s Leadership Council is a community of women who join together regularly to learn how to raise the overall success rate of enabling their success and leadership potential. This council share best practices, hear from industry leaders, and form other initiatives that drive successful women in Technology! Based at New America in Washington DC, Opportunity@Work is a civic enterprise whose mission is to re-wire the U.S. labor market to enable more Americans to achieve upward mobility in the job market and workplace, to facilitate actions by U.S. employers to develop the talent they collectively need to succeed and grow, and to scale up innovations that unlock more fully all people’s potential for higher-value, meaningful work as a source of economic opportunity and national competitive advantage. A media organization highlighting female entrepreneurship. Organizers of Founder Friday meetups and the PITCH conferences in Silicon Valley and New York. Their sister organization in Latin America is Ellas 2.0. See our interview with CEO Shaherose Charania. For us, a feminist approach to technology is a gendered critique of the design, use and impact of technology, as well as empowering women to participate in its future. We believe that equal participation of women in producing and decision-making regarding technology is important to ensure that widely used technologies do not affect women adversely. #brainbabe is a thought leadership platform founded by Deidre Kashou Diamond dedicated to increasing the hiring of women in the Cyber Security and Technology professions, while also supporting those already in the professions with a communication framework that will advance and empower both women and men in the workplace. A community that holds dinner events for women in STEM and helps them find inspiration and mentorship. Wonder Women Tech (WWT) is a non-profit organization which produces an annual conference and series of educational programming and initiatives that highlights, educates, and celebrates women and diversity in STEAM (Science, Technology, Engineering, Arts & Mathematics) innovation and entrepreneurialism. Our conferences and programming offer a variety of speakers, panel discussions, coding classes, community inclusion activities and other dynamic initiatives geared towards empowering women and diverse demographics. Change Catalyst empowers diverse, inclusive and sustainable tech innovation – through education, mentorship and funding. Our Tech Inclusion programs explore and develop innovative solutions to tech diversity and inclusion. We partner with the tech community to solve diversity and inclusion together through conferences, career fairs, strategic consulting and training. Our work spans the full tech ecosystem, including: Education, Workplace, Entrepreneurship and Policy. We empower Female Engineers and provide courses and workshops to: educate, encourage professionals in the high-tech industry. A global organization with local chapter events, discussion boards, and job listings. Organizers of TechSpeak for Entrepreneurs, a two-day conference in New York to teach entrepreneurs to communicate with and manage their technical employees. The sole purpose of Girl Geek Coffees (GGC) is to pursue charitable purposes of advancing the interests of minority females in Information Technology and related Science, Engineering & Mathematics fields, particularly at the development stages of student and early career. Women in the Channel connects female leaders in the telecom and IT channels for the purpose of collaborating to grow our businesses, support each other as women and mentor each other. We are Global Tech Women. Our mission is to create a global network of inspired, connected and self-actualized women in tech. Created by the Society for Women’s Health Research, it helps women find and apply for awards and grants in science, technology, engineering, math, and mathematics. Tech LadyMafia supports women who work in and around the internet. We are astrophysicists and developers, writers and digital strategists. We believe in very inclusive definitions of the words “women” and “ladies”. TLM is open is to anyone who identifies as a woman. Our events and online community are the place to get motivation, resources, and encouragement to make your dreams a reality. Because you can do it, and you don't have to do it alone. The Blacks in Technology mission: Deliver the most relevant and beneficial information and network for African Americans in the technology field or pursuing a career in Technology. Focus on creating a community in which African Americans are comfortable, motivated and inspired to pursue careers in Technology. This is a private group to collaborate on encouraging and keeping half of the total workforce - women - in this amazing industry! Goals: 1. Share best practices to stay in tech. 2. Provide a forum to connect mentors and mentees for women in tech, and connecting them with the right opportunities. 3. Create a group of females in tech who can advocate more programs and services that keep women in the industry. She’s Geeky provides a safe, friendly place for women in STEM to “geek out” and talk about their jobs, their passions, their lives and their hobbies in a supportive, non-competitive environment. A community created by and for the Latinas in computing with a mission of promoting their representation and success in computing-related fields. Chicago Women Developers is run by a group of women from a variety of backgrounds and technical expertise, who are all passionate about coding and women in technology. They want to provide a place where all questions are OK and where everyone can learn in a supportive environment. Tech Savvy Women is an organization that brings Technology focused Women across various industries and disciplines together to create and foster relationships while enhancing their knowledge of technology. An 8-week summer class teaching programming to high school girls in New York City. The girls take trips to Google,Facebook,Twitter, and Foursquare and work on a final project that tackles a challenge in their community, like recycling. Npower is a national nonprofit organization of 23 members providing IT training and services to nonprofits and young adults. Through programs and service, Npower aims to bring the IT community together to do social good. A program where high school girls create a prototype for an Android app, write a business plan, and pitch to VCs, while being mentored by women in tech. Created by Iridescent Learning. An organization that helps African-American girls ages 7-17 learn programming and take charge of their future, mainly through workshops across the country. IT-ology is a non-profit collaboration of businesses, academic institutions and organizations dedicated to growing the IT talent pipeline, fostering economic development and advancing the IT profession. TechGirlz is a 501(c)3 nonprofit dedicated to reducing the gender gap in technology occupations. We develop fun and educational hands-on workshops, called TechShopz, and an annual Entrepreneur Summer Camp. These efforts aim to get middle-school age girls interested in different kinds of technology and demonstrate the varied options of careers available. MentorNet, a division of Great Minds in STEM, connects STEM students from freshman year through the doctoral level with mentors working in a variety of STEM fields. Any STEM student in an accredited institution of higher education in the U.S. and professionals with STEM degrees may join our new open social network for mentoring at http://www.mentornet.org/join. More than 60% of MentorNet mentees are women and more than 30% are pursuing degrees in computing. AkiraChix is a not for profit organisation that aims to inspire and develop a successful force of women in technology who will change Africa’s future.Founded in April 2010, AkiraChix aims to be the leading women’s network impacting technology in Africa. We facilitate hands-on technology-centric events to empower, support, and increase the confidence of women and girls. Through our events, we build community, empower participants to see themselves as leaders, and provide networking and mentoring opportunities in the rapidly growing high tech industry. Young Rewired State (often stylized as YRS) is an organisation based in the United Kingdom, which run events and schemes for technically gifted young people aged 18 and under. It brings together young developers, designers, and those with other technical skills to build projects (mainly phone and web applications) that attempt to solve real world problems. HER Ideas in Motion is a 501c3 nonprofit corporation focused on helping girls achieve in technology and media arts. Through hands-on workshops and tech clubs, girls learn technical and creative skills from professionals, while building their own projects. In addition, HER Ideas in Motion has developed a women-led approach that combines female technical and creative professionals teaching and mentoring girls to provide access to female role models in these fields. A program that teaches computer science to girls in underserved communities, starting in middle school. They run classes in Boston, New York, and San Francisco. Go Girl, Go for IT aims to excite and engage female secondary school students by introducing them to the vast range of global, lucrative and varied career options in IT. The event focuses on inspiring students with fantastic role model speakers, showcasing technology of the future and challenging their preconceptions of a career in IT. There will be access to a wealth of information that will assist students in making informed decisions about a career in IT. High school girls are taking high level math and science courses-with the exception of physics and engineering-at similar rates as their male peers; however, gender disparities begin to emerge at the undergraduate level, where men outnumber women in many STEM fields. Women receive only 18.2% of bachelor degrees awarded in computer science, 19.1% in physics, and 19.2% in engineering. The Girls' Programming Network is run by girls for girls. We run workshop every term for high school girls in the Sydney area on programming & awesome IT stuff! Women and Hi Tech is an organization of women and men whose goal is to attract, develop, retain, support and promote women who are interested in technology, through networking, role modeling, education and professional development. The Rich Tech Women In Technology Forum is designed to provide networking, mentoring and educational opportunities for women involved at all levels of technology centric businesses or organizations. The mission of the forum is to be a catalyst in growing the interest of science, technology, math and engineering among today’s young women. The council organizes an inaugural Women ETC (Education, Technology, Careers) event that provides professional development, education, and collaboration amongst its participants. A community that connects women in technology fields in Philadelphia to learn from and inspire each other. Host of the 2012 Women in Tech Summit. The WCC is a web development community with a mission to narrow the gender gap in technology. We cultivate supportive, no-stupid-questions environments where women can learn, build, and code together. Classes and events in Chicago for female programmers. They are in the middle of their Summer Apps Program, a series of three courses to transform your idea into a web and mobile app. They also host weekly open hack nights on Thursday (#XXHACK), where anyone can show up and get help on coding. A 3,000+ member organization of women in web design and development, IT, and other digital careers (such as blogging and marketing). A conference held at Stanford University on the opportunities, challenges, and role models for women in technology, to inspire more “femgineers”: female programmers who use their skills for positive change. CoderDojo is a worldwide movement of free, volunteer-led, community-based programming clubs for young people. Anyone aged seven to seventeen can visit a Dojo where they can learn to code, build a website, create an app or a game, and explore technology in an informal, creative, and social environment. Women Who Code is a global non-profit dedicated to inspiring women to excel in technology careers. We provide an avenue into tech, empower women with skills needed for professional advancement, and provide environments where networking and mentorship are valued. The organization has executed more than 1,200 free events around the world, garnered a membership exceeding 20,000, and has a presence in 15 countries. Ada Developers Academy is a training program located in Seattle, Washington for women who want to become software developers. Ada is tuition-free and is comprised of 6 months of full-time classroom training followed by 5 months in a paid industry internship. A friendly, welcoming and collaborative community, with a growing number of local groups based in cities worldwide. Django Girls is a non-profit organization and a community that empowers and helps women to organize free, one-day programming workshops by providing tools, resources and support. We are a volunteer run organization with hundreds of people contributing to bring more amazing women into the world of technology. Code it Like a Girl is a digital media collective that creates content intended to inspire people who self-identify as female to follow their dreams. From technology news and how-to’s to remarkable stories of people all around the world, articles on feminism or just whatever we feel like talking-writing-filming about, we’ll be sharing our POV on anything that can be proven empowering, valuable, informative or entertaining to our audience. Cloud Girls is an open, vendor-neutral, not-for-profit community of female technology advocates dedicated to educating themselves, their organizations and customers about the vast and dynamic cloud ecosystem. By exploring emerging market and technical trends, advocating best practices/reference architectures and building community consensus, Cloud Girls is fostering the next wave of women in technology. RailsBridge workshops are a free and fun way to get started or level up with Rails, Ruby, and other web technologies. Our events focus on increasing diversity in tech, so that people of all backgrounds can feel welcome and comfortable in our industry. Outreachy helps people from groups underrepresented in free and open source software get involved. We provide a supportive community for beginning to contribute any time throughout the year and offer focused internship opportunities twice a year with a number of free software organizations. Formed in 2014, Latina Girls Code is a program created to fill the diversity gap between girls who are interested in technology through education and resources. LGC will provide mentors, access to hardware and digital tools as well as internships through various programs and events throughout the year. It is the endeavor of the organization to provide tangible education to those particularly in disadvantaged areas in hopes to spur interest in the technology. CodeChix fosters continuous learning through our chapters’ events and workshops. Offerings include hacking sessions, technical talks, and hands-on, developer-led technical workshops. Sample events include Wikipedia’s Operations Infrastructure, Algorithms and Directed Acyclic Graphs, Mobile/Graphic Design for Engineers Workshop, Toy Robotics: My little Pleo, OpenShift Workshop, and Android Instalfest & App Building 101. We are an international mentorship group with a focus on helping more women become active participants and leaders in the Python open-source community. Our mission is to promote, educate and advance a diverse Python community through outreach, education, conferences, events and social gatherings. Technical workshops for female programmers held around the United States, as well as in Canada and Australia. They aim to create a supportive environment where women can join the discussion and show off their skills. Courses are also available online. A site targeted at women to help them learn technology, including tech terms, Ask Ada (named after the first programmer), and other articles. A 10-week training program for women in San Francisco – half learning, half doing. Applications for the fall program are due in August, and it costs $6,000. A firm that invests in early-stage companies with a female founder/CEO or executive. They also offer business training to entrepreneurs and investors. A not-for-profit organization that offers paid, week-long programs to help female entrepreneurs in technology, life sciences, and clean tech to learn skills for revenue generation, sales, and fundraising. Includes a support network of over 200 investors and 300 startup executives. Their “Forum Program” is an accelerator with two months of coaching for women-led businesses. They also offer pitch practice and educational programs to learn how to fundraise. A microlending organization started by Candace Kleinthat helps women-owned startups in Ohio. Borrowers also get a nine-week course on business development. Organizers of the yearly Women Who Tech TeleSummit, with talks by women in technology, startups, and social media. Creators of the #Women2Follow hashtag onTwitter. This year, FemaleDev focuses on producing, mentoring, and nurturing female startup founders in Indonesia’s tech ecosystem. A 12-week mentorship program in Mountain View for startups led by a minority founder (African American, Latino, or female). digitalundivided uses innovation to foster the economic growth and empowerment of Black and Latina women entrepreneurs. Double Union is a space for your projects - Things women do in this space include sewing, programming, electronics, woodworking, fiber arts of all kinds, and zine making. Founded in 2013, the Women’s Center for Creative Work, or WCCW, is a not-for-profit organization that cultivates LA’s feminist creative communities and practices. Combining a co-workspace on the LA river in Frogtown, project incubation facilities, residency programs, a rapidly growing network of over 15,000 followers, and a full calendar of artistic and professional development programming for female creatives, WCCW advocates for female-led creative businesses and projects in Los Angeles.